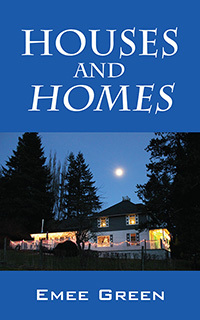 Emee Green’s “Houses and Homes.” For people with a passion for real estate and lovers of a good story. The houses are the characters in this non-fictional record of a journey through life and a side trip into the world of Real Estate that became an obsession. Starting with a $1,000 investment, the author and her husband accumulated a multi-million dollar nest egg. The search for the right house became an addictive and enjoyable part of the process and life’s lessons are learned along the way. Previous Previous post: Limited Time! Outskirts Press Published Authors Receive 10% Off First Chapter Plus Today!